Azerbaijan will showcase the new Ildirim Mine Resistant Ambush Protected vehicle at the Azerbaijan International Defence Industry Exhibition ADEX 2016. The new Ildirim (English: Lightning) is a mine-resistant light armored vehicle. The Ildirim based on the Caprivi Mk3 armoured personnel carrier designed by Mobile Land Systems (Pty) Ltd. According to the manufacturer armored offers protection STANAG 4569 3B, which is equivalent to undermining the 8 kg of explosives under the vehicle, and STANAG 4569 4A, the corresponding erosion of 16 kg of explosives under the wheel. Azerbaijan International Defence Exhibition is a 4 day event being held from 27th September to the30th September 2016 at the Baku Expo Center in Baku. *sim, eu sei que essa figura fictícia é do Cazaquistão. E que o Cazaquistão herdou parte do complexo industrial Soviético e que em tamanho é maior umas 25 vezes que Portugal. Não está fácil a vida para os M-48H de Taiwan. O rebentamento de uma peça de 105mm causou um ferido. E no mês passado outro caiu de uma ponte e matou 3 elementos da guarnição. Peço desculpa, camarada Alvalade, mas só agora vi o seu post. A propósito da minha graçola, o Azerbaijão (que era o país mencionado na notícia) é mais pequeno do que Portugal, com menos população que Portugal e com um PIB 3 vezes menor que Portugal. Desconheço as suas capacidades industriais, mas serão suficientes para produzir este tipo de veículo. Armenian paraded newly-acquired weapons systems, including 9K720 Iskander (SS-26 'Stone') short-range ballistic missiles (SSRBMs) during its Independence Day parade on 21 September. The CCTV News has released video footage of new Z-18A military transport helicopter for People’s Liberation Army Ground Force. The U.S. Army hosted the annual Best Squad Competition in Grafenwoehr, Germany with teams going head-to-head in 30 different challenges. This years competition, which emphasizes joint readiness and on bringing NATO partners together, focused on sniper team qualifications. The competition included a friendship shoot, a high-angle shoot from a helicopter, a water shoot from a boat, advanced marksmanship and night shooting. Some of the physical events included stalking, a terrain run, a 20-kilometer foot march, an obstacle course and land navigation. First place is Forsvaret / Hæren (Norway). Second place is Försvarsmakten (Sweden). Third place is Defensie – La Défense – Belgian Defence (Belgium). Congratulations to the teams who placed and thanks to all the European and NATO nations who took an active part in building international camaraderie, esprit de corps, interoperability and readiness on a personal and individual level during this friendly competition. WHAT IS THE EUROPEAN BEST SQUAD COMPETITION? This year’s Best Squad Competition includes competitors from Belgium, Denmark, Italy, Latvia, Lithuania, the Netherlands, Norway, Spain, Sweden, the United Kingdom and the United States. Estou a gostar bastante deste projecto Turco! The vehicle architecture contains protection systems against mines, rocket propelled grenades and kinetic energy threats. In addition up to date electronic subsystems are also integrated together with high performance power pack, heavy duty suspension and tracks which enables the vehicle to carry heavy loads such as 105 mm gun systems. KAPLAN is a new generation armored fighting vehicle that has the ability to move together with main battle tanks, has a 22-25 Hp/ton power-to-weight ratio, which takes into account the weight of the communication system and the automatic transmission. KAPLAN has a low silhouette, and with its twin 6 road wheeled tracks, has the ability operate in hot/cold weather conditions at high speed not only on asphalt and stabilized highways, but also in soft soil, muddy and rough terrains. The advanced suspension system, tracks has been designed to reduce vibration and increase road holding. Access to the vehicle is gained through a personnel door on the ramp or the hydraulic ramp located at the rear of the vehicle. On the top, there is a wide hatch for personnel and another hatch that has been specifically designed to maximize the driver’s field of view. The maintenance and repair of the power pack are performed via the cabin access hatch and hatches that are at the front of the vehicle. The two fuel tanks are located at the rear for balance and are fully-armored and isolated from the vehicle to ensure the security of personnel. KAPLAN is one of the very few vehicles that have amphibious characteristics. Thanks to the two water propulsion systems located at the rear of the vehicle, KAPLAN can perform in deep and water current rate. It can perform pivot turns in the water and even move backwards. In addition to this, it allows the driver to enter the water without any preparation. The hull of KAPLAN is manufactured and integrated using a ballistic welding technique. The hull is water resistant together with the hatches and lids are water-proofed via seals. While the power pack cabin and the expanded driver area are located in front of the vehicle, the gunner and the commander areas are located in the middle of the vehicle. The personnel carrier version can carry 8 troops in the rear, and the turreted version can carry 6 dismounts. Survivability systems such as, reduced thermal signature, laser warning system and sniper detection and CBRN protection systems are also applied the vehicle. There are also laser-protected glass periscopes that allows the driver to see outside with wide angle of view which provides, high situational awareness. Integrated night vision systems is standard in all variants. The vehicles structural design enables to improve complete family of vehicles consist of different variants. Belarus' Minotor-Service has developed a new tracked light armoured vehicle (LAV), IHS Jane's has learned. Designated Breeze, the vehicle consists of an upgraded one person turret - originally installed on the Volgograd Tractor Plant BMD-2 airborne assault vehicle (AAV) - that is integrated onto a new light-tracked platform developed by Minotor-Service. The turret retains its 30 mm 2A42 dual-feed cannon and a 7.62 mm PKTM co-axial machine gun (MG). A total of 300 rounds of 30 mm ammunition and 2,000 rounds of 7.62 mm ammunition are carried. 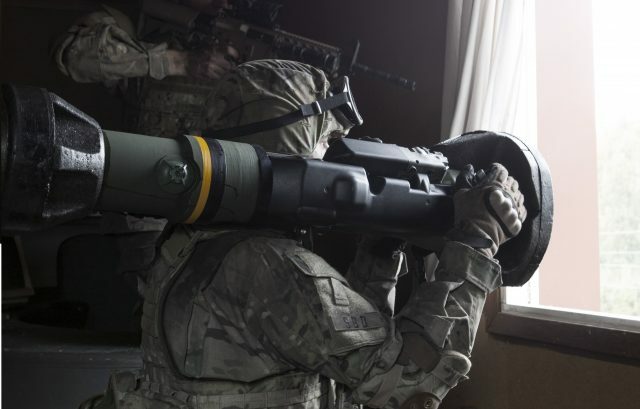 Mounted on the right side of the turret is a pod of two KBP Instrument Design Bureau Kornet-EM laser guided anti-tank missiles; this is coupled to what the company describes as "an automated day/night sight" that is mounted on top of the turret on the left side. Deve ser para as suas VDV (Tropa Aero-Mecanizada).